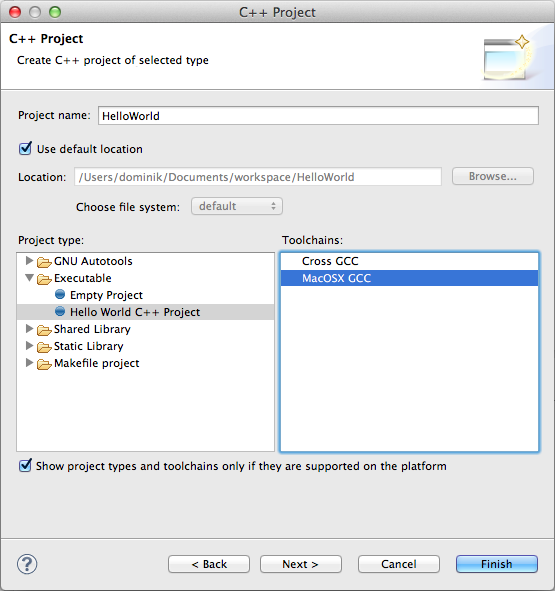 This tutorial will explain how to install and use Eclipse C/C++ with Mac OS X. I wrote a tutorial for Windows 7 some time ago because you need to install some additional software to be able to compile your programs. With Mac OS X this should be more easier if you already have Xcode installed. 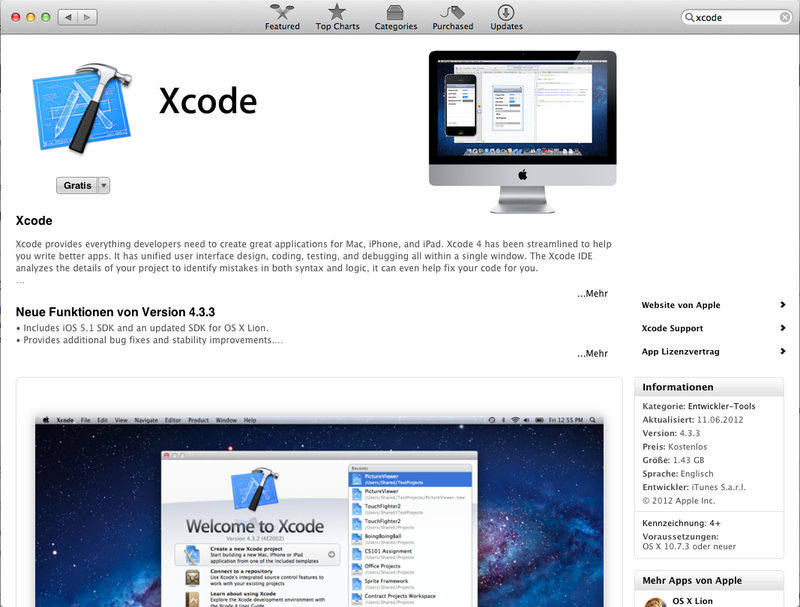 Apple offers you a free collection of development tools called Xcode. 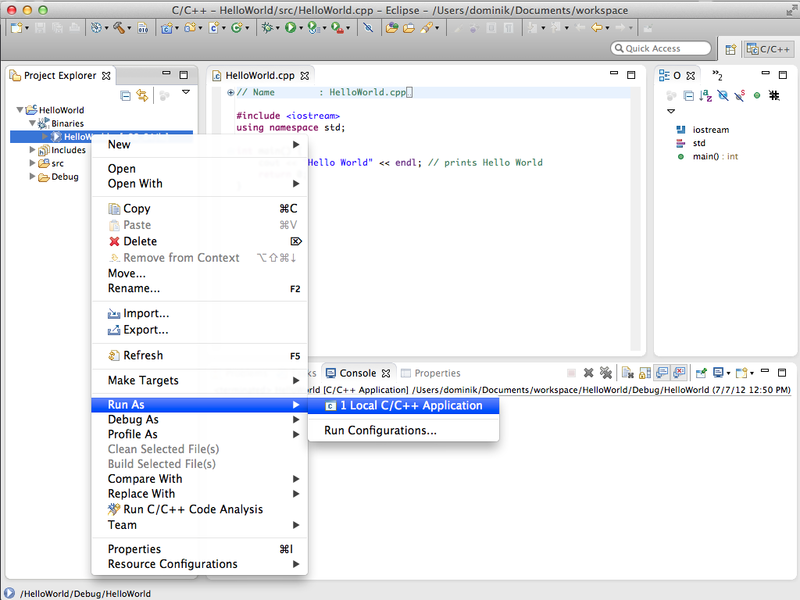 It although contains a IDE for Objective C and iOS development. Beside this it tools there are a lot of useful tools like different version control systems and console tools and very important the compilers. Because this is packed and very easy to install you should go to the AppStore and install Xcode if you don't have it yet. You will need to have Java installed on your Mac OS X as well but this is just a click if you try to run a Java application the first time. 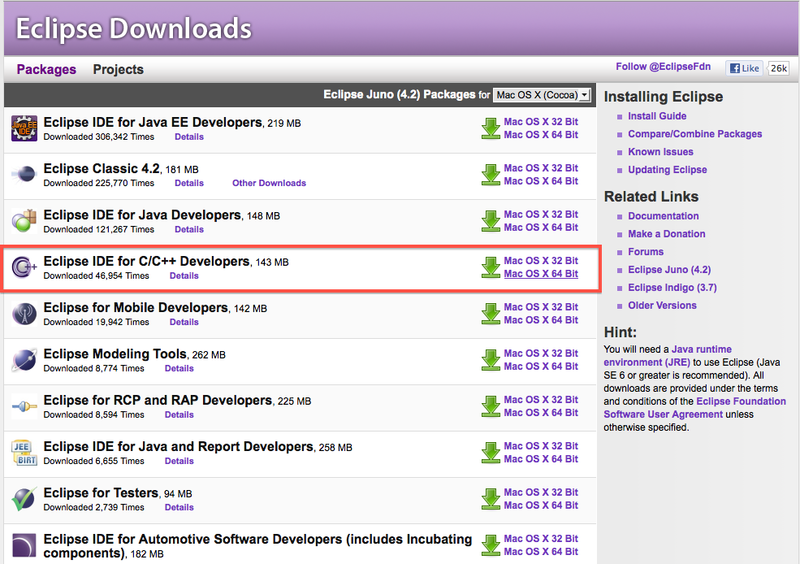 Download the Eclipse CDT version of Eclipse from eclipse.org. I prefer the 64bit version. 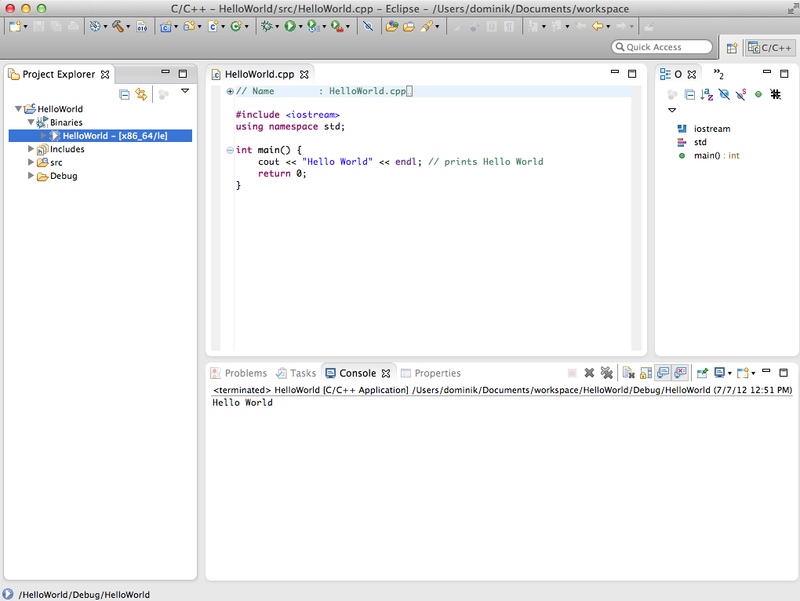 Now you should be able to run the Eclipse IDE. 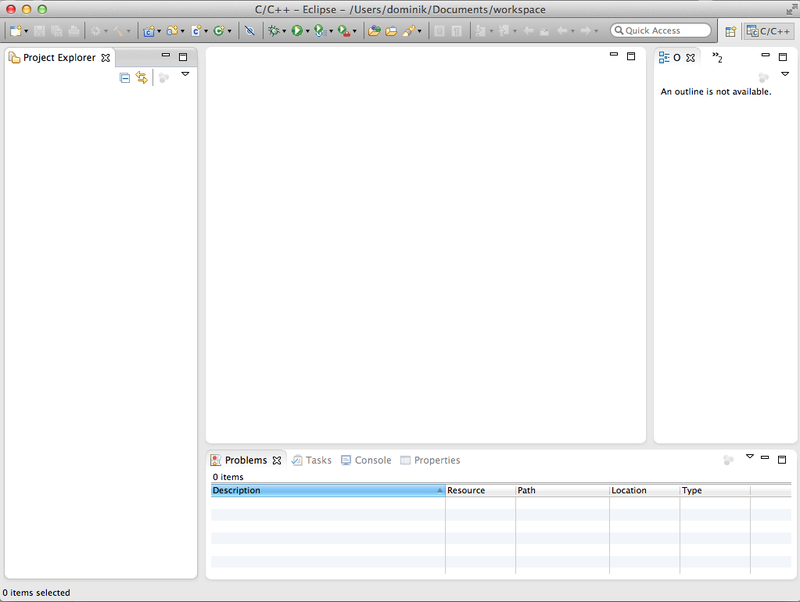 You should get something like a welcome page or continue an empty overview over your new Eclipse C/C++ IDE. Because the eclipse.ini file is hidden in the Mac package I wrote a blog post some time ago how to change it. You can find the post here. 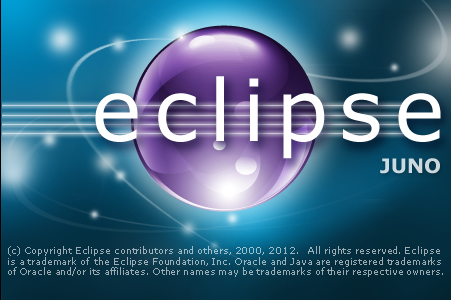 Should work for Eclipse Juno as well. 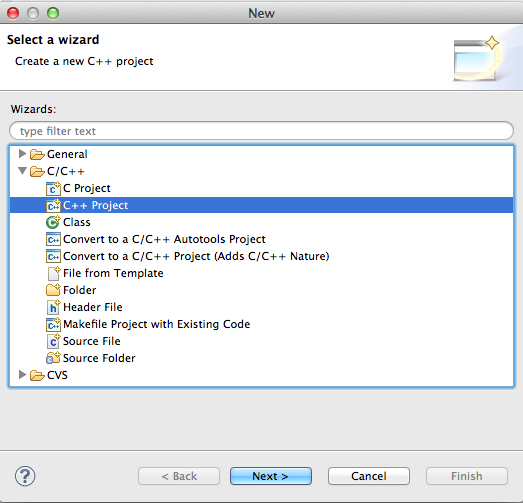 Maybe this helps you to get your IDE up and running to do awesome stuff with it. Feel free to add a comment if I missed a step.